2 NEW (~Hour-long) HD Video Classes Each Month. The first series, titled “Self-knowledge, Self-esteem, and Personal Greatness," is comprised of 28 lectures filled with knowledge and practical tools for personal growth. Composed and delivered with a clarity so compelling, they are sure to create a lasting positive impact on every aspect of your life. Exclusive LIVE Interactive Q&A Sessions Each Month. These live sessions will each last about 30 to 45 minutes, and will be an open to everyone in the community to ask their questions and get answered live. MP3s of All Lectures. In addition to the videos, we will send you downloadable Mp3 versions of all of the video classes you receive. Access to Archives of all Past Recordings. For the duration of your membership, you will have access to all videos and MP3s of each class as well as Q&A sessions. Exclusive Access to New Courses as They Come Out. Rabbi Kelemen already has another brand-new series underway, and others already in the works! This upcoming series teaches us how to develop, deeply ingrain, and apply the principles of Bitachon (trust in G-d) to eliminate anxiety and live a happier, calmer, fuller life. BONUS: “Planting and Building: To Raise a Jewish Child.” This definitive guide to Jewish parenting is a 28 part series on bringing forth your child’s individuality and excellence. BONUS: "The Miracle of Personal Growth"
100% Satisfaction Guarantee. 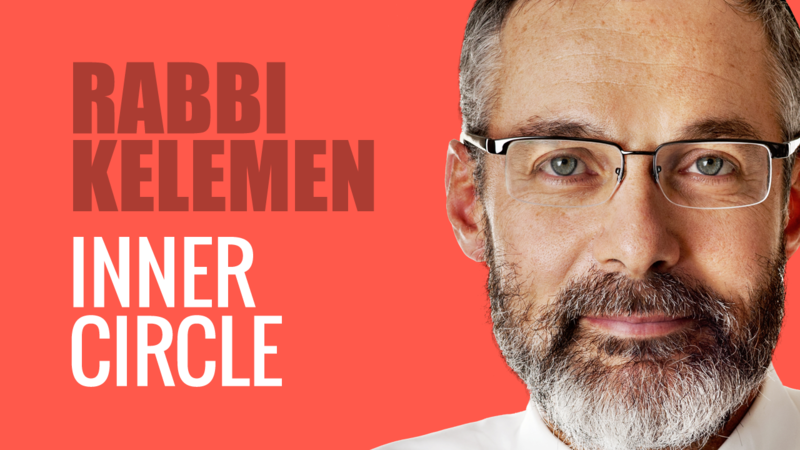 If you don't love Rabbi Kelemen’s Inner Circle, you can simply cancel anytime. This, along with our money-back guarantee, means there is no risk, and nothing to lose.